(b. April 6, 1937, New York, NY � ), American actor known for his suave character in stage productions, movies, and television shows during the 1960s, 1970s, and 1980s. 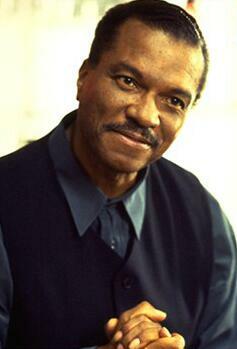 Billy Dee Williams was born William December to a Texan father and a West Indian mother in Harlem. 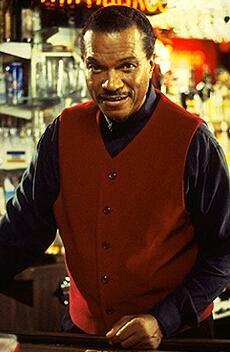 His parents juggled several jobs while his maternal grandmother helped raise Williams and his twin sister, Loretta. With aspirations of becoming a painter, Williams attended New York's High School of Music and Art and the National Academy of Fine Arts and Design. While pursuing his art studies, Williams learned about the Stanislavsky method of natural acting through his acquaintance with Sidney Poitier and Paul Mann at the Actors Workshop in Harlem. He initially viewed acting as a way to earn money for art supplies, but by the early 1960s had begun to devote all of his energy to acting. Williams first appeared on stage at the age of seven in the musical The Firebrand of Florence (1945). His first screen appearance was in The Last Angry Man (1959), and A Taste of Honey (1960), which won the New York Drama Critic's 1961 award for best foreign play, featured him in one of his earliest stage performances. After the failure of two marriages, first to Audrey Sellers and then to Marlene Clark, Williams fell into a depression in 1964. He made a triumphant return to acting in 1970 with his Emmy nominated portrayal of Chicago Bears football player Gale Sayers in Brian's Song. 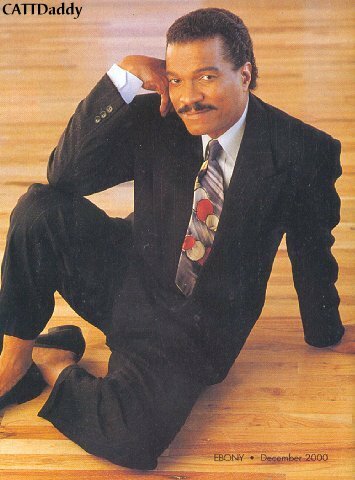 His success earned him a seven-year film contract with Motown's Berry Gordy, and he co-starred with Diana Ross in Lady Sings the Blues (1972) and Mahogany (1975). In the 1980s, he was featured in the movies The Empire Strikes Back (1980) and Return of the Jedi (1983), as well as in the television programs Dynasty and Star Trek. In 1984, Williams was inducted into the Black Filmmaker's Hall of Fame, and in 1985, he was awarded a star on the Hollywood Walk of Fame.